Address: 2500 S. 48th St. Narrative: Firefighters extinguished a fire in a garbage can that was sitting on the sidewalk. 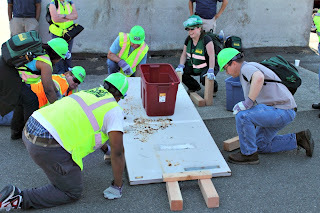 On July 13, 2013 the Tacoma Community Emergency Response Team (CERT) along with Tacoma Emergency Management and Tacoma Fire orchestrated the annual CERT refresher training. 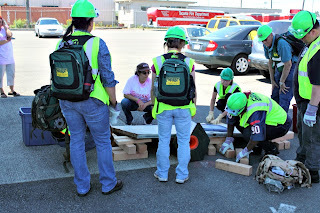 Certified Tacoma CERT Volunteers started the day with an “Emergency Call Out Drill”. The volunteers were alerted to report to the Tacoma Fire Training Center prepared to respond to a simulated earthquake event. After arrival at the Training Center, the participants received an overview outlining the capabilities of HAM Radio and possible ways Hams can be utilized in an emergency support role. 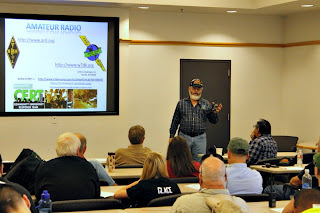 A demonstration of the radios and a drill testing the operator’s ability to relay situational information from their location to a central communications point for further dissemination was conducted. 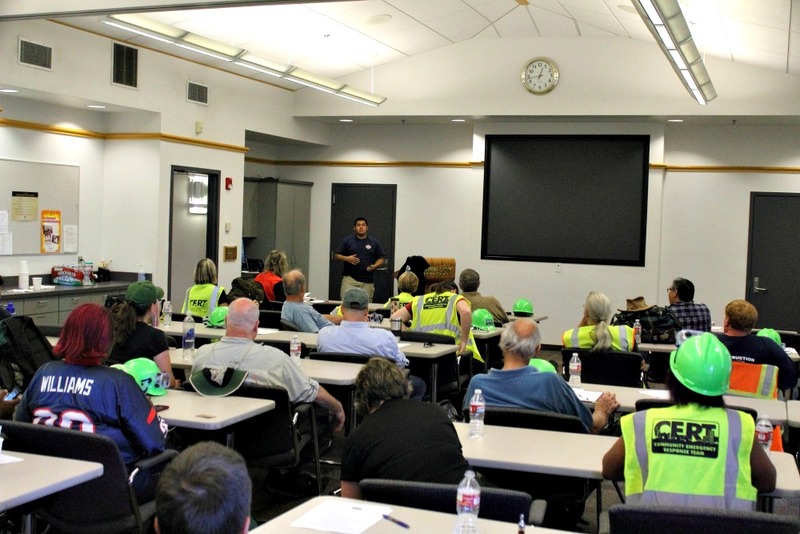 The team also practiced using tactical call signs in a Community Point of Distribution scenario which stressed the importance of relaying critical information between locations. 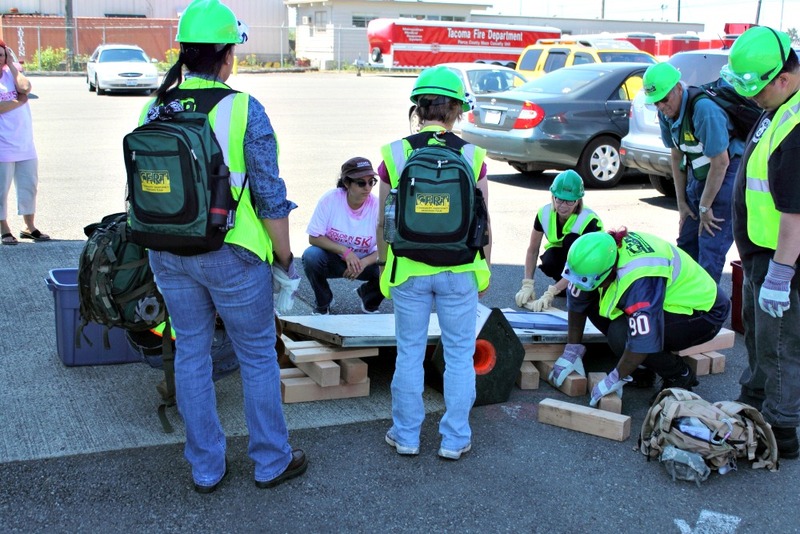 Later in the day, CERT members reviewed and refreshed their Search and Rescue skills along with their Cribbing techniques. 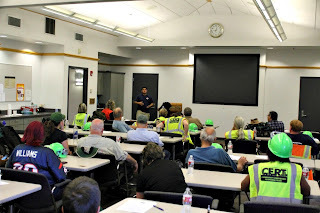 During this one day event staff and volunteers where able to enhance skills, build teamwork and identify future training needs. Address: 4611 N. 26th St. Address: 3124 S. 19th St. Address: 1763 S. 53rd St. Address: 1515 S. 49th St. Narrative: Firefighters responded to a reported fire in a tree house. Kids had ignited combustibles inside the structure and an adult had extinguished the fire prior to our arrival. Narrative: Firefighters extinguished a grass fire along I-5. Address: 2455 S. 78th St. Narrative: Firefighters extinguished an approximately 20 x 60 grass fire next to the road. Address: 3717 E. Portland Ave. Narrative: Firefighters extinguished an a debris fire in a outdoor area. Address: 8218 S. 17th St. Address: N. 39th St/N. Gove St. Narrative: Firefighters responded to an alarm in a building that was set of when the smoke from a barbecue entered an open door. Narrative: Firefighters responded to a car fire on the side of the freeway. Narrative: Firefighters extinguished a grass fire by the train tracks. Address: 3100 N. Proctor Ave. Narrative: Firefighters extinguished a wood bench that was on fire near a trail. Address: S. 74th St./S. Tyler St. Narrative: Firefighters worked with West Pierce Fire and Rescue to extinguish an approximately 200 x 100 foot brush fire. The cause of the fire was undetermined. Narrative: Firefighters extinguished a fire in a detached garage. Narrative: Firefighters responded to a fully involved car fire that started in the engine compartment of the motor vehicle. Address: 4201 S. Steele St. Narrative: Firefighters assisted West Pierce Fire and Rescue extinguish an large brush fire. Address: 5731 S. Orchard St. Narrative: Firefighters extinguished a grass fire. Narrative: Firefighters extinguished small fire in some lumber. Address: S.19th St./S. "J" St. Address: 4610 S. American Lake Blvd. Narrative: Firefighters extinguished a small garbage can fire at a park. Address: S. 94th St/S. "G" St. Narrative: Firefighters extinguished a fire on a small mini bike. Address: 4314 S. Pine St. Narrative: Firefighters extinguished a fire that spread from a recreational fire to a fence. Address: N. 26th St/ N. Tyler St. Address: 2705 62nd Ave E.
Narrative: Firefighters extinguished a small fire on a fence that started in the bark and spread to the wood fence. Address: E. 64th St/E. Portland Ave. Address: 2301 58th Ave E.
Narrative: Firefighters responded to a report of smoke coming from an apartment. Upon arrival they found a pan of food left on the stove had caused the smoke. Firefighters cleared the smoke and confirmed that there was no fire extension. Narrative: Firefighters extinguished a small smoldering fire in the base of a fence post. Address: 3915 N. 25th St. Address: 5611 S. M St. Narrative: Firefighters responded to a reported house fire. The first arriving company found heavy flames and smoke showing from the side of the single story house. Crews worked quickly to knock the fire down and to protect the house next door that also was catching fire from the intense heat and flames. The fire started on the exterior of the house in a storage cabinet and spread to the house, a fence and the neighbors house. It was undetermined what caused the storage items to ignite. There were no injuries to report and the fire displaced 6 occupants. Address: 7221 S. Wapato St. Address: 4670 Pacific Hwy E.
Address: E. 38th St./E. Portland Ave. Narrative: Firefighters extinguished a 10 x 20 grass fire. Address: S. 18th St./S. "G" St. Narrative: Firefighters extinguished a fire in an abandoned sofa.